All of our products are purchased online through Myecommerce, a respected payment gateway since 2001. All MyCommerce solutions are secured by Digital River's enterprise e-commerce infrastructure, which includes a proven payment gateway, advanced fraud prevention, 24x7 customer service and much more. Simple deletion is not enough; iOS data eraser is the most powerful and safest data wiping program which can deeply destroy your personal information. And ensure it's not recoverable by permanently wiping the iDevice with the program. Destroying data with military grade wiping algorithm, your data will be impossible to recover even with the most sophisticated tools. 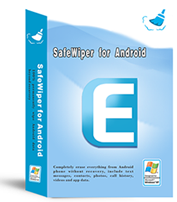 It supports erasing messages, contacts, photos, audios, videos, call history and more. 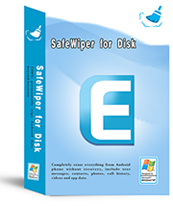 Data Wipe for Disk is a powerful wiping software that wipes the disk and memory card using one of predefined advanced algorithms, it can overwri the existing disk data with a new, random meaningless data for up to 30 times. Take advantage of the academic pricing. We provide a lifetime free upgrade service.